Beautiful, classic East Hill cottage with updates throughout! 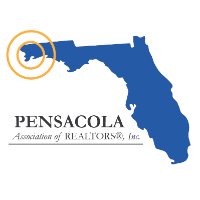 Located in the center of the East Hill District and close to exciting Downtown Pensacola. This is the perfect opportunity to own a classic cottage with a white picket fence in the perfect location. This spacious three-bedroom, two-and-a-half-bath home features brand new updates, including new appliances, all new interior and exterior paint, and new carpet upstairs. The cottage also features a wood-burning fireplace, charming hardwood floors downstairs and a beautiful soaking tub upstairs. The property boasts a detached garage, and a large covered deck that opens off the kitchen, overlooking a beautiful fenced back yard. This must-see cottage is a rare East Hill gem! I am interested in 1120 E Bobe St, Pensacola, FL 32503 (Listing ID # 542323).